The chapter responds to Gordon Graham’s aesthetic argument for the existence of God as presented in his essay “Nature, Kant, and God”. Drawing on Kant’s moral argument, Graham argues that it is a necessary presupposition of man’s intuition about the intrinsic value of nature – its “magnificence” – to assume a divine being as the guarantor of the ultimate harmony between “useless” nature and human welfare. In this response I will, first, highlight some differences between Kant’s and Graham’s uses of the terms “aesthetic ideas,” “genius” and “the sublime.” Second, with reference to Kant’s interpretation of the figure of the goddess Isis, I will highlight a tension in Kant’s view of nature that, I suggest, also underlies Graham’s premises. This tension consists of (and assumes) a basic conflict between, on the one hand, a sense of awe and respect for nature’s mystery and otherness and, on the other, a need and desire to grasp and utilize it. 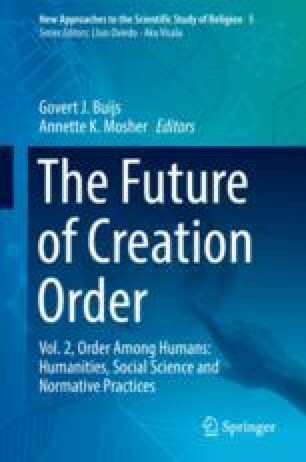 I will argue that this tension is rooted in a dichotomous model of nature that fails to acknowledge that humans are themselves part of nature and, together with nature, part of a larger multi-dimensional order of creation. I will draw on Reformed philosopher Herman Dooyeweerd’s critique of Kant to show how an emphasis on the Creator-creation distinction and the multi-dimensionality of the order of reality can reconceive “magnificence” as an aesthetic dimension. This conception allows for a broadening of the conception of human welfare to include the need for aesthetic contemplation and experience.